The Purple by EarSonics: When the technical know-how is put at the service of musical versatility. The Purple technology is housed in EarSonics EVS® patented shell, unveiled with the launch of the ES5. Thanks to the FUSION® process embedded in the EVS® shell, we have packed our proprietary drivers in a super ergonomic universal-fit design. The nozzle has been designed with the TRUEWAVE® system, the latest technology developed for the EM64. It features a 2-output cannula topped by a mono–brass bell. This configuration allows an optimal phase control and a prime magnitude coherence curve, for ever greater audio realism. Power, balance, compliance with timbre and maximal headroom. The Purple has a rich sound in all parts of the spectrum with a strong sense of presence and enhanced front surround sound for a unique audiophile listening experience. The sound is balanced, natural and musical. 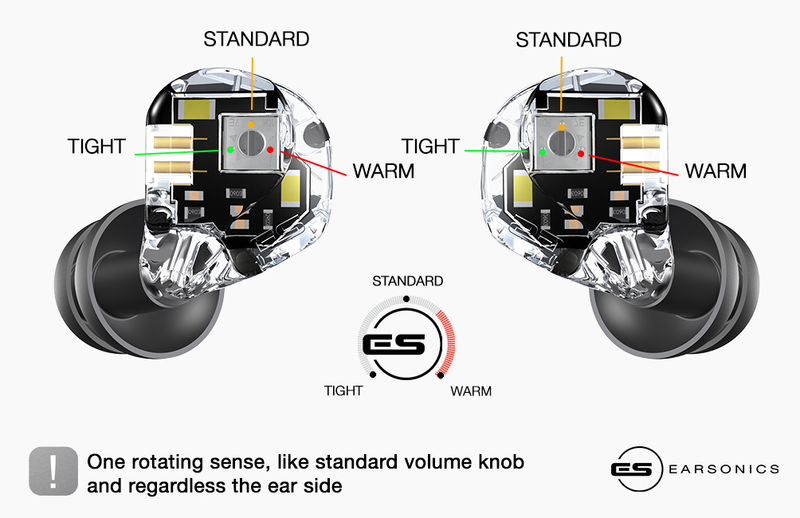 It has all the qualities that made EarSonics a success: organic and warm lows, processed mids and mastered high-mids, with full control of harshness even at high volume levels. The highs are textured and fine with rich harmonics, giving a clear and airy feel. Indeed, the Purple inherits its quality highs coming from Grace IEM, yet offering an even stronger presence of highs. discerning listeners towards a new horizon in terms of listening experience. With its modular system, the Purple enters EarSonics « Signature » range. The 3 sound signatures enable listeners to better adjust their listening experience to their music and choice of players.